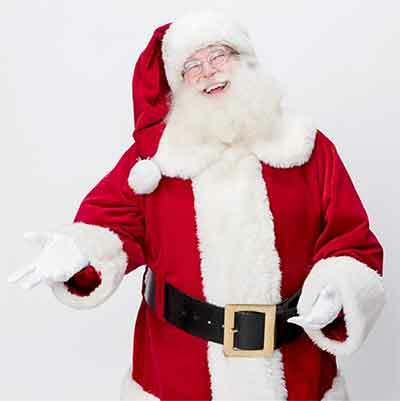 Come meet St. Nick and make the holidays special with Santa-and-me photos. 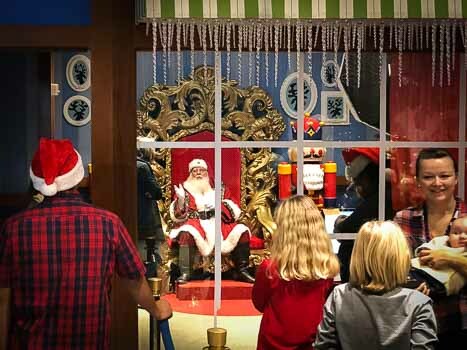 Santa is located at two different places - Macy's on the 6th floor in the heart of Union Square and at Westfield San Francisco Centre on Market & Powell Streets. 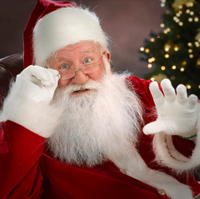 Check out features of each location and hours to suit your plans before Christmas. Everybody's favorite holiday tradition is back! Drop by and tell jolly Old Saint Nick what's on your wish list. Remember, he's only here for a limited time, so catch him while you can! Have your picture taken with the man himself! Packages range from $19.99 to $49.99. Plus, show your Union Square Ice Skating wristband for $1 off your photo package! For more information, give them a jingle at (415) 397-3333! 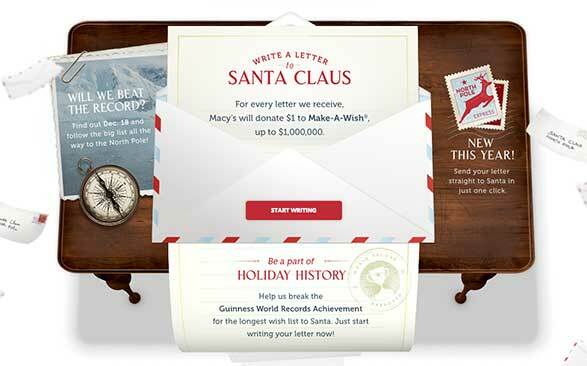 Once again, customers can visit their local Macy’s store to drop their stamped letters to Santa into special Santa Mail letterboxes to support Make-A-Wish through December 24. For each letter collected, Macy’s will donate $1, up to $1 million, to Make-A-Wish, to help grant the wishes of children with life-threatening medical conditions. New this year, the Believe letter campaign is going digital – in addition to mailing letters in store, customers can visit macys.com/believe to create and send their letter to Santa.